TURIN -- The Italian car market in March was "horrible," Fiat CEO Sergio Marchionne said on Friday, forecasting a further decline for 2012 car sales in Italy to 1.5 million units. Marchionne's prediction implies new-car sales in Italy this year will fall a further 15 percent from the 1.75 million cars sold last year. Asked about forecasts of a 38 percent to 40 percent drop in new-car deliveries this month due in part to a six-week long strike by truckers, Marchionne told reporters the final figure "is not far from the estimates of the past few days." He said the drop was not entirely due to the strike. 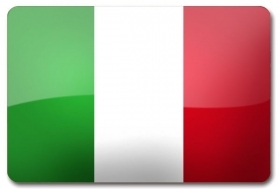 The Italian market was already weak with new-car sales down nearly 18 percent to 268,240 units after two months of 2012. Marchionne's prediction for March translates into about 115,000 registrations from 188,493 units in the same month the year before. Foreign automaker association UNRAE had predicted 150,000 registrations for the month, while dealer association Federauto feared the strike could have reduced sales to about 130,000 units.